For more than 50 consecutive years the owners of Dickerson yachts have gathered annually at Oxford or Cambridge, MD, near the place where their vessels were built. The Dickerson Owners’ Association (DOA) has hosted the event, usually on Father’s Day Weekend, and owners have gathered to share their enthusiasm for their classic sailboats. For the first time, the DOA invites other classics to participate. 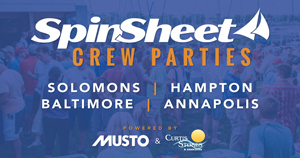 Join with us in a new Chesapeake Classic Sailboat Regatta June 14-16, 2019. The regatta is open to all classic sailboats over 25 feet, if the first hull of the design was built no later than 30 years ago. 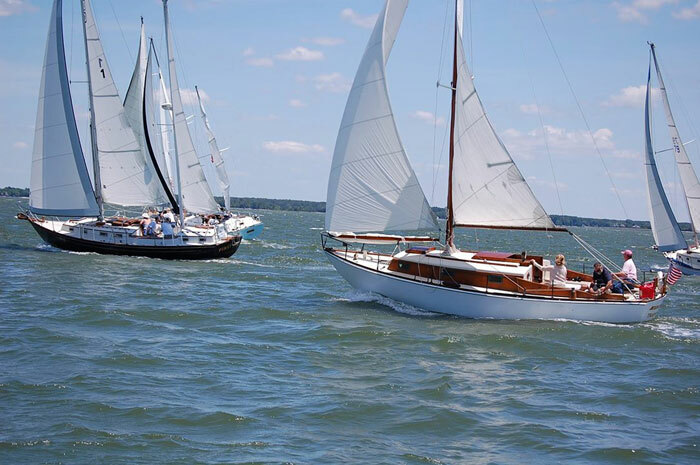 The rendezvous format will start with a highly photographed parade of boats in the Choptank River on Friday, followed by docking at Cambridge and boat visits with sea story swapping and a DOA-sponsored cookout. The next day breakfast will be at the Richardson Maritime Museum followed by a laid-back and friendly “race,” not at all like some of the cut-throat fleet events we have known, but it will be well organized and will offer a unique and very fair handicap system. Saturday a historic tour of Cambridge and waterfront luncheon will be held for members and guests that do not race or have come from afar to attend this unique classic boat celebration. Saturday night a filet and crab banquet will be held at the Cambridge Yacht Club, with trophies presented, a bit of sailing education, and entertainment. Sunday a group of boats will leave on a Post-Rendezvous Cruise, with plans to raft up on the first evening for a pot luck dinner and swimming. All the details will be outlined in the Classic Sailboat Regatta program. For additional information, contact DOA commodore Joe Slavin by email or at (571) 286-7600.